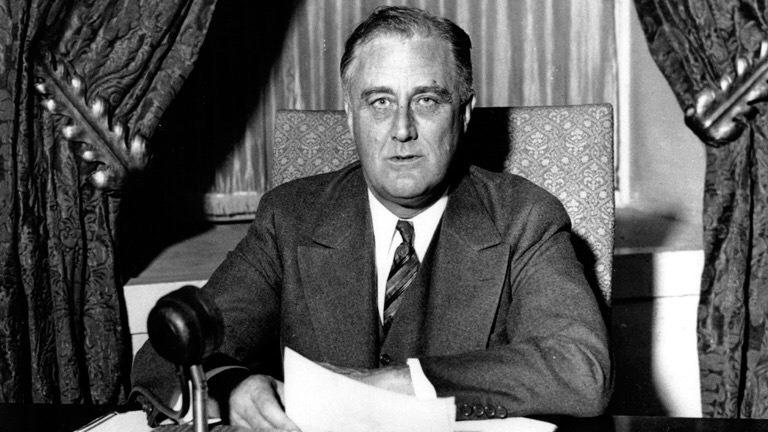 Franklin Roosevelt, the only US president elected more than twice, is generally viewed alongside Lincoln and Washington as the greatest of American presidents. This biography is an elegantly written survey of his life, times and accomplishments. At the outset of his life it seemed the world was his oyster. He was born into considerable wealth and a prominent family – cousin Theodore was a Republican president. 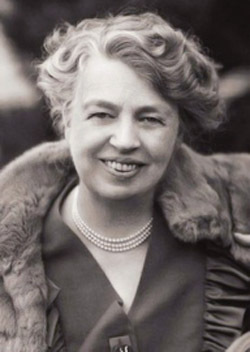 As was typical of his class much of Roosevelt’s upbringing was left to nannies and servants. Peculiarly Brands suggests that two of these servants, Helen McRorie and Elspeth McEachern, because they were from the North of Ireland, cemented his anglophilia. For those familiar with the politics of Ireland, the Catholic name of Helen McRorie would rather suggest that she may have been a significant source of his radicalism: It is more than probable that she was from the nationalist community and brought with her deeply felt memories of marginalisation and discrimination at the hands of the British and Unionist establishments in Ireland. Indeed this awareness of the nature of British colonialism may have added conviction to Roosevelt’s advocacy of Indian independence during the war. Roosevelt’s privileged youth led him to Harvard and then a political apprenticeship in New York politics, thence to a spell, including the duration of the US involvement in the First World War, in the federal government as Under-Secretary of the Navy in the Wilson administration. But the seeming gilded path was somewhat illusory. His wife, an extraordinary person in her own right, Eleanor, was almost certainly gay, and so, as their marriage progressed it became less a loving relationship and more a political alliance of close friends. Roosevelt’s life was further cruelly marred by a bout of polio which deprived him of the use of his legs. Following a period of rehabilitation however he found his way back to electoral politics eventually becoming governor of New York and then, in 1932, president. His accomplishments in this role were considerable: the “New Deal”, a rearrangement of the political economy of the United States, helped bring an end to the Depression, introducing banking regulation, promoting labour rights, founding social security and ending child labour in the process. His leadership of his country in the Second World War was decisive in the defeat of the Axis, and the United Nations remains one of his most enduring international legacies. Part of Roosevelt’s success derived from his legendary charm, but beneath this there was unquestionable steel, tempered by his personal travails, but constantly under control. The strain that this placed on him was not inconsiderable: observers noted his exhaustion at Yalta from trying, perhaps a little naively, to charm Stalin away from his murderous, imperialist ways. And the pressure of the presidency through the crises of war and peace contributed to Roosevelt’s relatively early death. Traitor to his Class is a fine introduction to one of the pivotal figures of the twentieth century and his times. Still, in spite of this, at the end Roosevelt seems a rather remote figure. It is as if the restraint and reserve he showed through life still renders him somewhat unknowable today. Nevertheless, as Eleanor noted at his death, “If at the end one can say: “This man used to the limit the powers that God granted him: he was worthy of love and respect and of the sacrifices of many people, made in order that he might achieve what he deemed to be his task,” then that life has been lived well and there are no regrets.” And in Roosevelt’s case, the liberty of western Europe emerged from his life, and those of us who live here must always remain grateful for that. This entry was posted in History by aidanjmcquade. Bookmark the permalink.